Dozens of people were killed or injured this morning after at least three bombs went off in the Belgian city of Brussels, shutting down the city’s airport and metro system. The bombing comes just days after authorities captured alleged Paris attacker Saleh Abdeslam in an apartment in the poor Brussels neighborhood of Molenbeek, believed to be the base of operations for the November attack that left 130 dead. 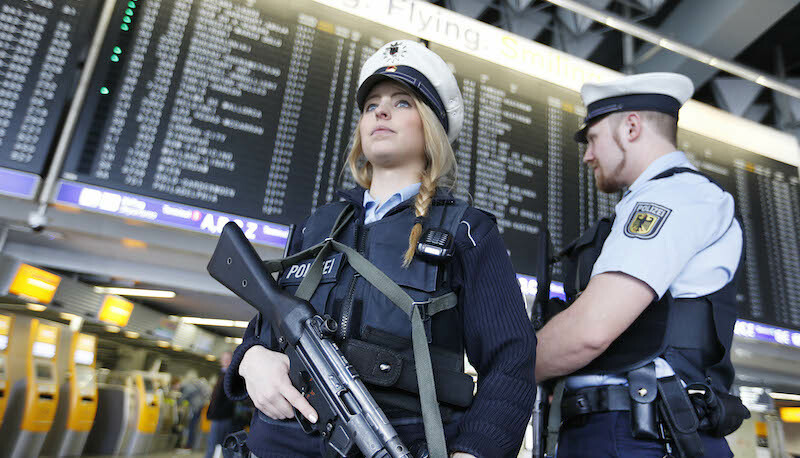 The first two explosions were reported around 8 a.m. at Zaventem, the city’s international airport, where a suicide bomber and what authorities believe was a remotely detonated bomb killed at least 13 people who were standing near the airport check-in counters. A third explosion hit the Maelbeek metro station just after 9 a.m., killing at least 15 people. It’s unclear how that bomb was detonated, though witnesses say it went off inside a metro car as it pulled into the station. “I was on the metro train pulling into the station when there was a massive explosion. Lights went out, smoke everywhere, sounds of multiple explosions, everyone dropped to the floor,” one witness tells Politico. Officials currently believe at least 142 people were injured in the three explosions. Although no one has officially taken responsibility yet, witnesses at the airport say they heard someone yell in Arabic immediately before the bombs went off. “I heard BAM and then a man screaming in Arabic, there was a couple withdrawing cash in front of me and the woman exploded and lost both legs her husband lost one leg and also a police officer lost a leg, windows of shops exploded blood everywhere I tried to help people get out,” baggage security officer Alphonse Youla confirmed to Politico. Officials have since shut down Brussels’ entire transit system, raised the country’s threat level from yellow to orange, and are urging citizens to stay where they are. Inbound flights to the city are being diverted to nearby airports, while outgoing flights have been canceled. International train service has also reportedly been disrupted. And at least one person, reportedly traveling on a train from Brussels to Amsterdam, has been arrested in connection with the attacks.